Patriot Gold Corp., a developing gold and silver exploration and production company, today provided an update on its Phase I pilot plant operations for the Moss Mine Project, located in the historic and active Oatman mining district near Bullhead City, Arizona. "We are very pleased with the strong execution on Phase I of the Moss pilot plant operations," said Bob Coale, CEO of Patriot Gold. "With construction of the pilot plant progressing on time and on budget, permitting expected to be completed by mid-July and a strong operations team on-site, we continue to gain confidence in our ability to advance toward full scale Phase II operations and ultimately, ROI and profitability on our Moss investment." Construction commenced May 1, 2013 on the infrastructure necessary to carry out pilot scale open pit mining and heap leach processing of an aggregate of approximately 90,000 tonnes of mineralized rock. The Pilot Plant leach pad, designed to test the economic and technical viability of heap leaching finely crushed, agglomerated material, is approximately 700 feet in length and 300 feet wide. The Phase I pit will be surface mined at a strip ratio of 0.79:1 and a production rate of 1,000 tonnes of mineralized rock, crushed to 95% -1/4 inch, per day. Initial placement of fine crushed agglomerated material (95% -1/4 inch) onto leach pads was completed ahead of schedule on June 28, 2013. Initial treatment of solution through carbon columns for heap leaching is scheduled to be completed by July 18, 2013. Total Phase I mineralized material of 90,000 mt expected to be placed onto the leach pads by September 15, 2013. The Company also reported that five of six permitting and bonding requirements have been completed or are near completion. The final permit is in the final stages of comment and is expected to be received by mid-July. The Moss Mine Project is located approximately seven miles due east of Bullhead City, Arizona. 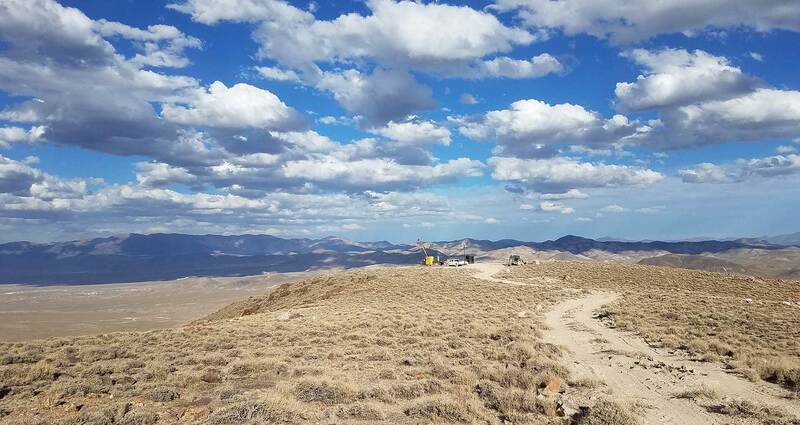 Patriot Gold is the 100% owner in the historic Moss Gold-Silver property located in Mohave County, Arizona, which is subject to certain royalties and an earn-in option agreement for 70% interest. The earn-in optionee/operator has the right to earn a 70% interest in the project by completing an $8.5 million investment over five years and a bankable feasibility study. Subsequent to the optionee/operator earn-in, financing of the project will be on a proportional basis.